Haven't updated this for a while as been very busy working on an exciting project since September last year. 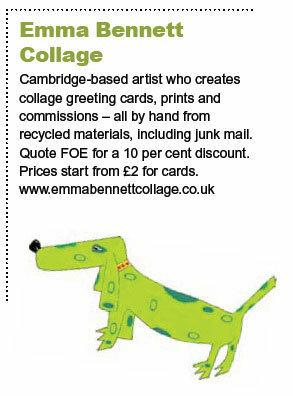 I came up with the idea for a new contemporary art book about Cambridge, which has invloved co-ordinating the work of over 50 amazing artists to be included in it. 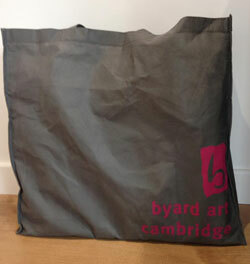 It will be published this year under the tilte "The Cambridge Art Book' by UIT Books! 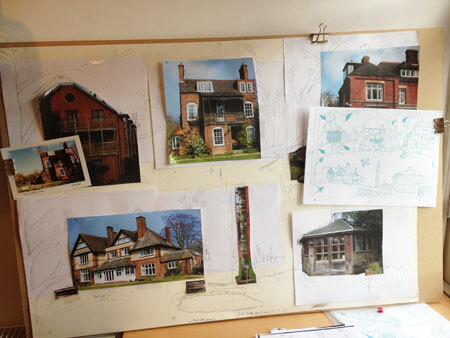 I am now working on 5 pictures for an exhibition this summer at Byard Art. 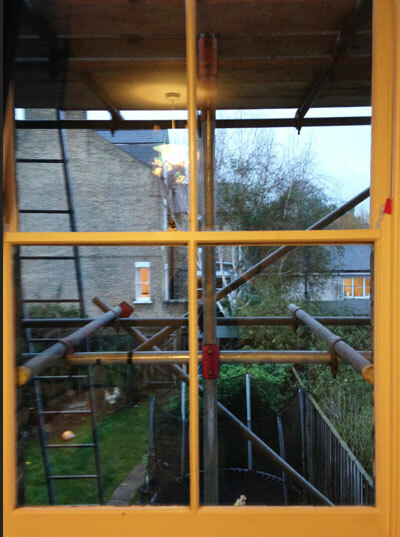 An exciting (but daunting) start to the new year with the beginning of our building work, which will, amongst other things result in a lovely big studio for me! 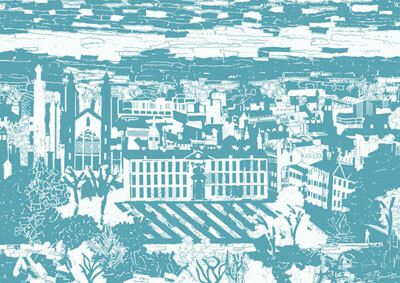 Also working on a picture of the New York skyline and the illustrations for a children's book with Author Lynn Fraser. A busy end to a great year , thank you to everyone who has supported me and bought my work during this crazy busy year. From the Scott Polar Research Institute to Lucy Cavendish College to many individuals - my work seems to have gone down well this year. 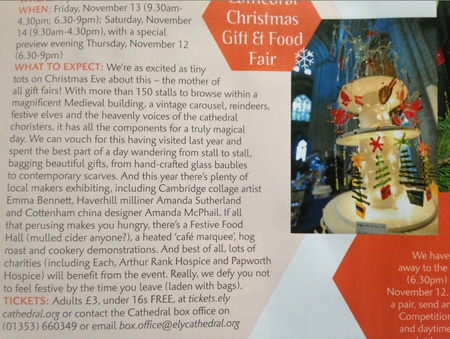 Busy getting ready for the fabulous Ely Cathedral Food and Gift Fair! 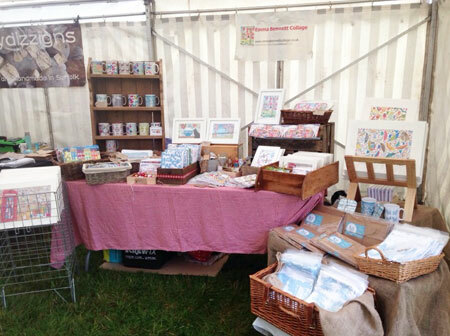 We had a great weekend at the wonderful 2015 Wood and Craft fair at National Trust Ickworth. 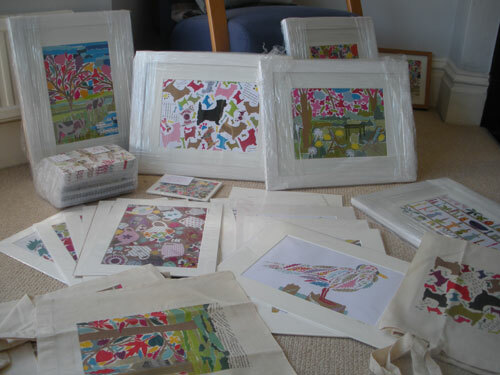 Great to see so many people and to see lots of my pictures and gift range going to new homes! 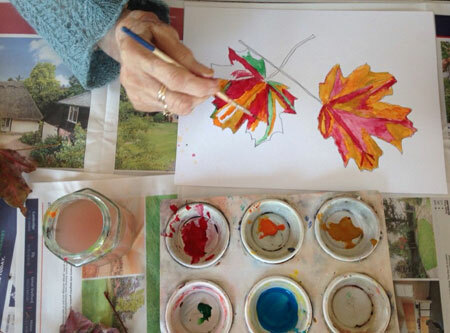 Just a couple of pics' from my Elders Art group last week, I teach this group every 2 weeks and it is just wonderful. 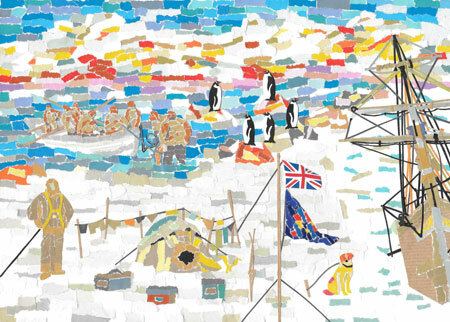 A busy, busy time working on a unique commission from the Scott Polar Research Institute and Museum in Cambridge to produce a piece of art for their Shackleton exhibition and a new range of merchandise for their shop, including notebooks, jigsaws and prints. A busy month getting pictures ready for 2 exhibitions, commissions, teaching my lovely Friday elders group and Cambridge Open Studios! 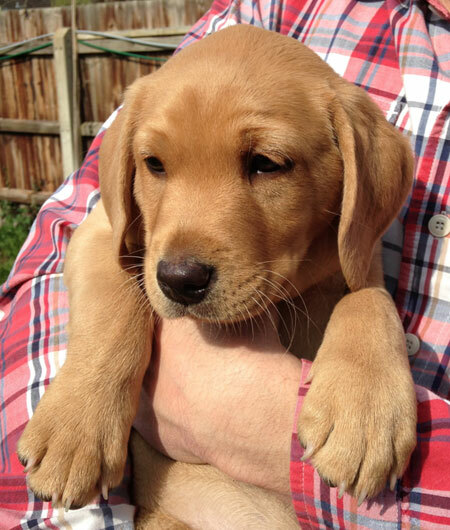 Think there will be a few work distractions in May as Barney joins Bennett HQ in Cambridge! Completing this commission from the wonderful Lucy Cavendish College, Cambridge University has been a long process and a labour of love. I was so pleased to have been asked to create this large 'iconic' art piece for their 50th anniversary celebrations this year and we are all delighted with the results! 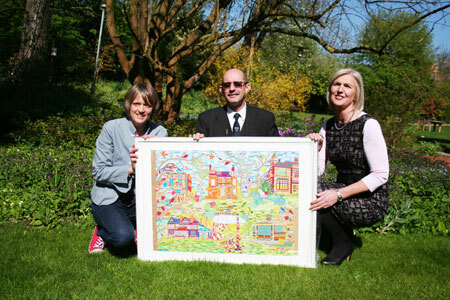 Picture below is me handing the picture over to the University. 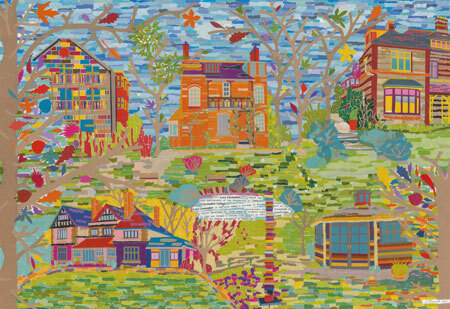 I am so thrilled to have been asked by the wonderful Lucy Cavendish College here in Cambridge to create a large 'iconic' piece of art to celebrate their 50th annuversary this year. The image will also be used for merchandising, hoorah! 2015 has got off to a busy but great start. 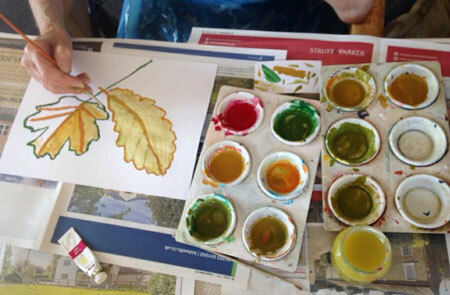 I am really enjoying working with my Friday elders group- many of whom have alzhiemers. They have worked hard to produce this picture which I think is fab! It's been a crazy busy few months but I have met some lovely people at the various fairs I have attended and love it that many of my pictures/prints and gift items are being posted all over the world! I am still loving Teaching my Elders group on Fridays and who are working hard. I already have two commissions booked in for January as well as working with talented Author Lynn Fraser on the production of a children's book. 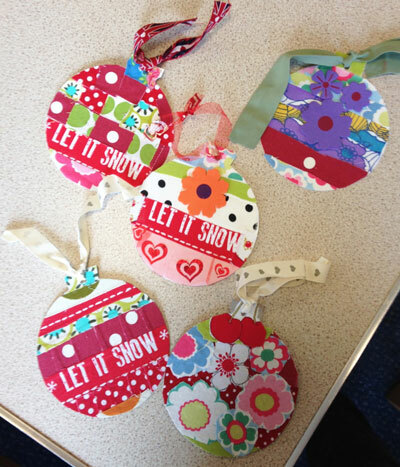 A busy few months gearing up for the Christmas sales period. 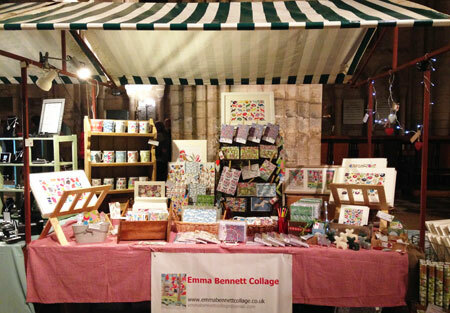 Had an amazing time meeting lots of lovely people at the wonderful Ely Cathedral Christmas Gift and Food Fair, lovely to get such fantastic feedback on my work. Had a great summer hanging out with my children and 2 fantastic weeks in France with my lovely family, but now back to work. 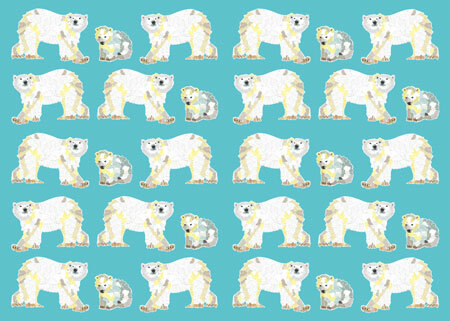 First thing on the agenda is Christmas card designs, I am late doinge them as usual, many Artists/Designers design theirs in May! Delighted that Byard Art Gallery in central Cambridge have sold my huge Cambridge picture, my most challenging and large picture to date. It is winging its way across the world to New Zealand. 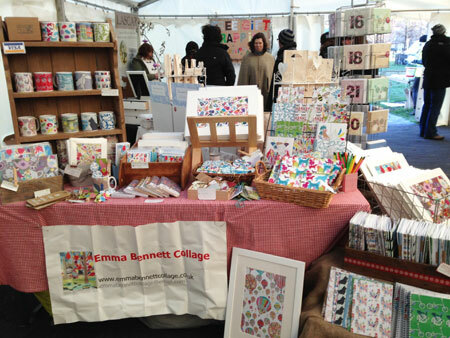 Busy weekend at Clare Priory! 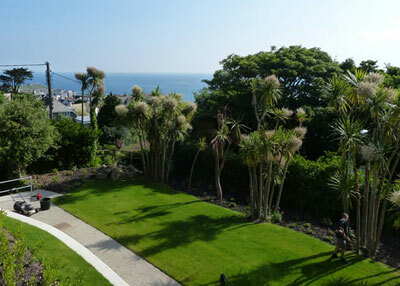 So delighted to have had 2 pictures chosen to grace the walls of this fantastic contemporary apartment in St Ives, Cornwall. 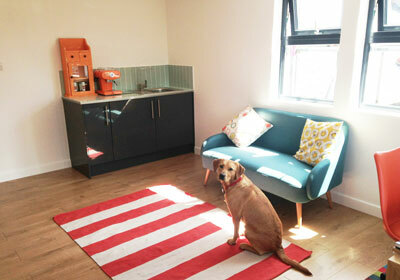 Called 'Puffins' this gorgeous holiday home (Available for booking now!) 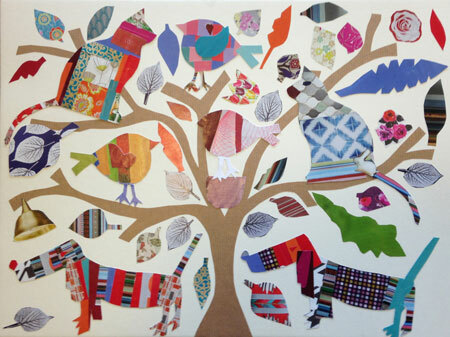 is being artistically funished with the owner giving great care to the use of art and all things contemporary! I can't wait to see the results of the photo shoot happening next week! Exhibition of my pictures on at Balzano's on Cherry Hinton road, Cambridge- a fantastic Italian coffee shop and deli, go see them! 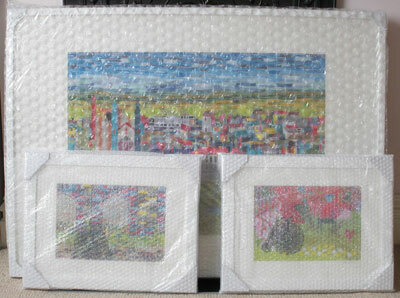 Just delivered 4 original pictures to the wonderful Byard Art Gallery, opposite Kings College in Cambridge. The biggest picture I have ever done, which took 7 weeks to complete will go on show, as well as 2 for their Tour De France exhibition and one of an East Anglian landscape. 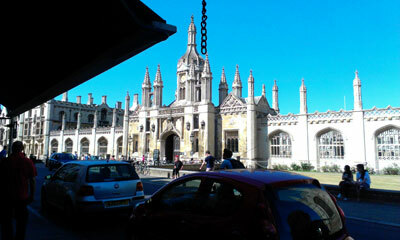 A fun day at the Etheldreda Fair in Ely, overlooked by the grand Cathedral. 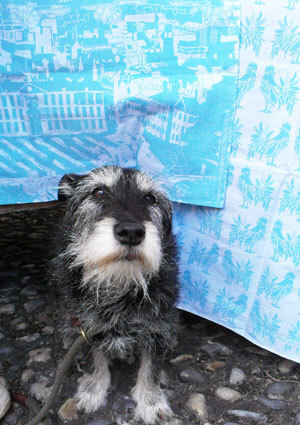 Met lots of lovely people and sold, sold, sold, so a good day! I was asked to help design the decorations with an Italian theme for a big auction at the kids school, I don't think we did too bad a job. 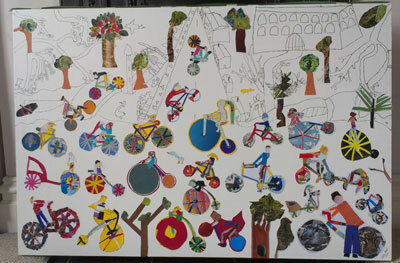 Fabulous day with the children in Jade class creating a huge Tour De France inspired collage, well done kids! 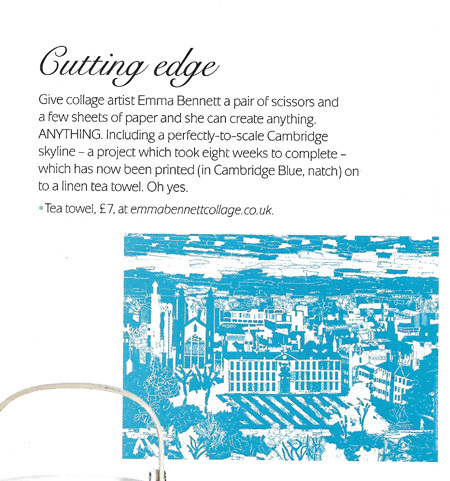 2014 has got off to a mixed start - on the plus side I am delighted that my work continues to see at Byard Art, I have 2 lovely tea towel desings coming out and cool coasters now on the web site. 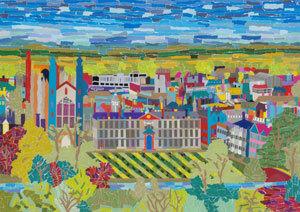 I am also really pleased to have won a scholarship on the Handmade Horizons marketing course, which I am enjoying and loved working on a huge, detailed picture of Cambridge. On the minus side I have been back and forth Birmingham as my step dad has been in hospital for 8 weeks. 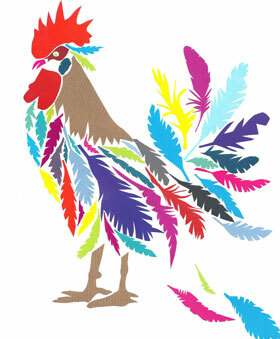 I am now working on 2 new pieces for Byard Art for their summer Tour De France exhibition. 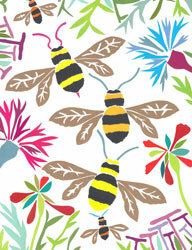 Tea towel design - coming soon! 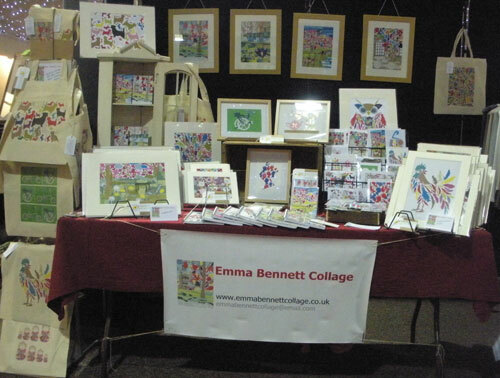 What an amazing year 2013 was for little old Emma Bennett Collage. The highlights? -Supplying the notebooks for the Lavenham Literary Festival and getting messages back from some of the UK's top Authors saying they loved my notebooks! -Meeting so many amazing people who love my work, think it is different and now have my pictures on their walls! So over the top delighted that 6 of my pictures (from the Cambridge Collection) are now on show at the wonderful Byard Art Gallery in central Cambridge (Opposite Kings College). 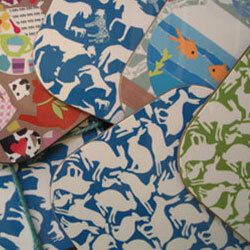 They also have a selection of my cards! Fantastic 4 days at Ely Cathedral for their International Flower Festival. 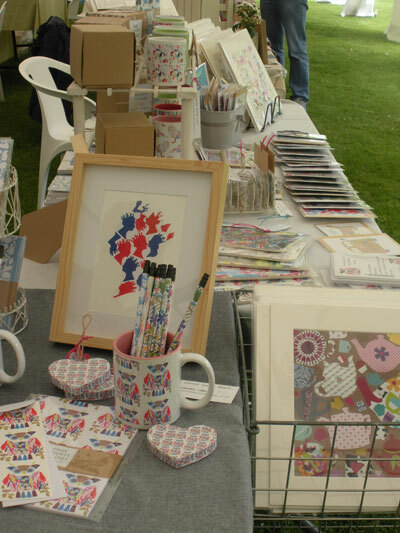 I met some lovely people, sold lots and had some amazing feedback to my work. 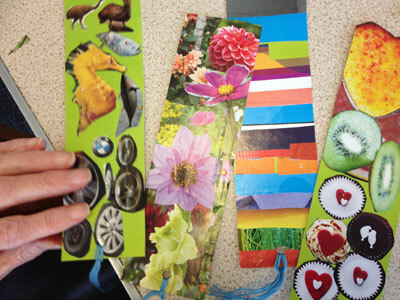 "It is so lovely to see something so different"
"Your work is so clever, how do you do it?!" How is it the end of February already!! 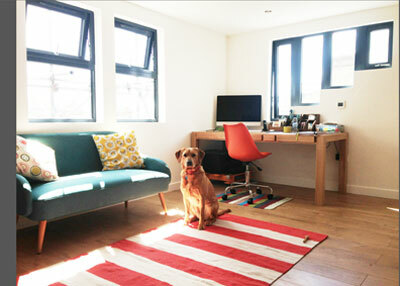 Things have been busy and not helped by a week without heating and hot water (my studio was freezing). I am delighted to be working with the wonderful Green Pebble on marketing my notebooks and to the 3 new shops who are stocking my gift range. I am doing a workshop in a couple of weeks with people who suffer from Parkinsons disease which I am looking forward to and am enjoying creating some new pieces together with getting orders out the door. 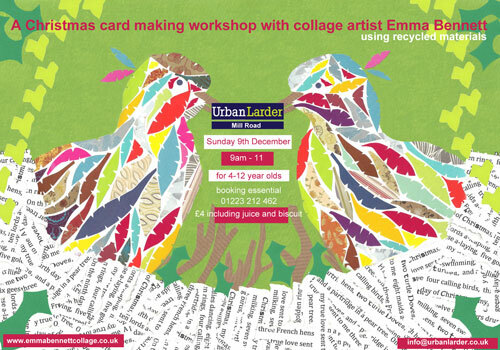 If you fancy a great coffee and cake and your kids fancy having a go at making collage Christmas cards using recycled materials, then come along at 9 on Sunday 9th to Urban Larder on Mill Road and have a go! 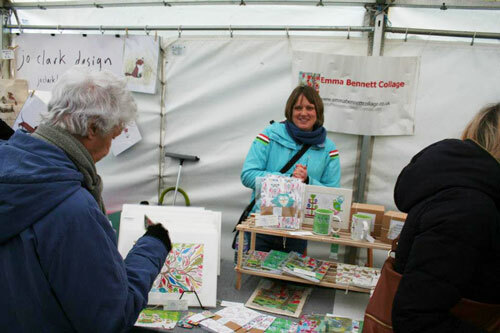 A photo of a very cold me in a marquee at the Mill Road Winter Fair. 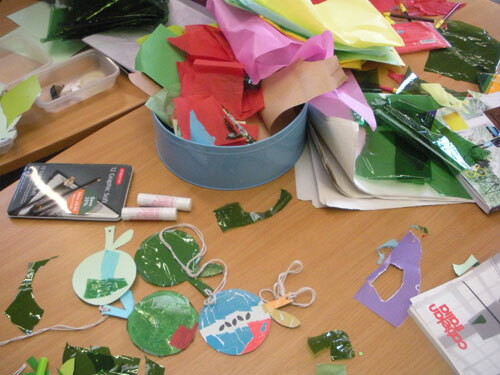 Thousands of people came along for a fantastic day of celebrating how fab Mill Road is. Thank's to everyone who stopped by, all of the great comments and all the purchases! 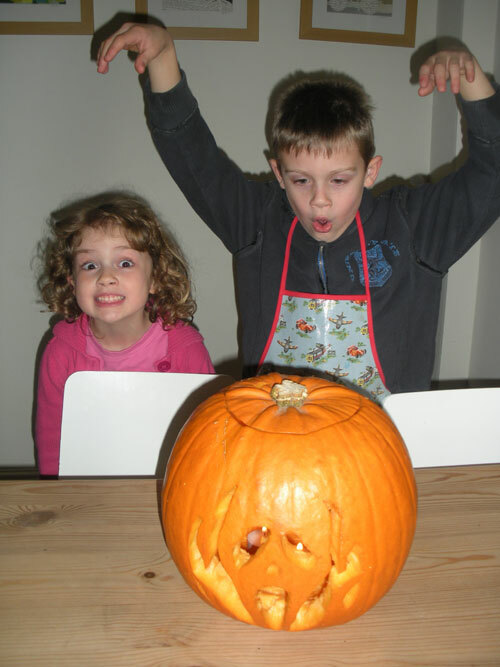 Which of the following 3 is the most scary! Took the husband and kids to see my work on display at Haddenham Galleries. They seemed quite impressed but it was the fluffy cat there who got the most attention. Fantastic summer, now back to work, lots to do including illustrating a children's story book by talented writer Lynn Fraser (www.lynnfraser.com), great story, hope I can do justice with the illustrations! 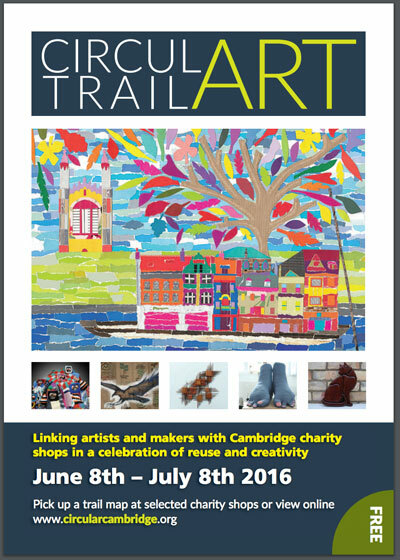 Lots going on at the moment- am teaching art at Ridgefiled and Morley schools this week, getting ready for an exhibition at Haddenham Galleries in September and delighted to have been accepted by Atelier East to exhibit a picture in their summer exhibition. 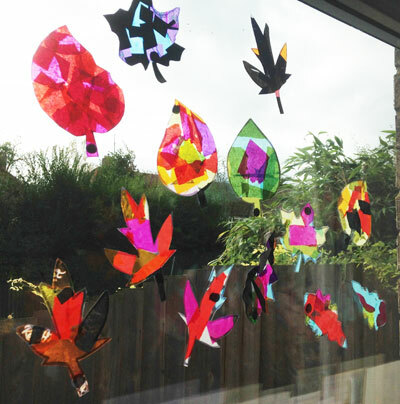 Updating my blog whilst the kids play at the Funky Fun House (or Funky Hell hole as it is known amongst us parents) - kids back at school tomorrow so work can resume. Have to get 25 pictures ready for Haddenham Galleries, so with only 5 1/2 weeks beforew summer holidays begin, I had better get working. Will take Wednesday off for my birthday though! 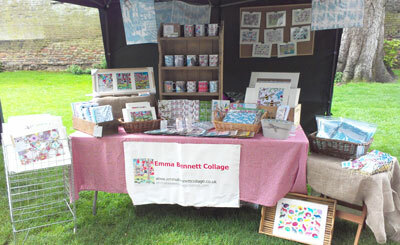 Had such a fantastic day at the Home and Garden Fair at Chilford Hall on Tuesday in aid of Asthma UK. It was very well organised and attended and thank you so much for all of the lovely people I met, comments I received and for all the sales! 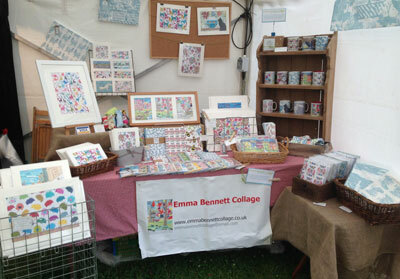 Busy, busy getting ready for the Home and Garden Fair at Chilford Hall next Tuesday (May 15th), has been a lot of work but am really looking forward to it. Delighted to say that I am very, very busy, can't ask for more than that when you work for yourself! Back to work and have enjoyed experimenting with some new collage approaches to make a picture of the River Cam (see home page). 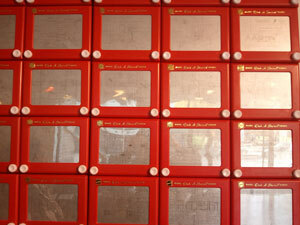 Took to photo below recently on a vist to the Midlands Arts Centre, we could all etcha-sketch at the same time, what fun! 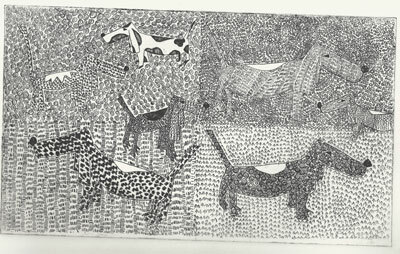 Printing course finished, not sure I am any good at it- black and white dogs below! Saw this gorgeous knitted plane on display at Duxford (the fantastic air museum) - I want one! Style article out- is great! Went to a posh sit down reception at the Tate Modern last night to celebrate the launch of the new Tacita Dean installation in the Turbine Hall. Sat on a table with lots of big wigs including Tessa Jowell. Craig has agreed he will teach her to cycle, that will be interesting! 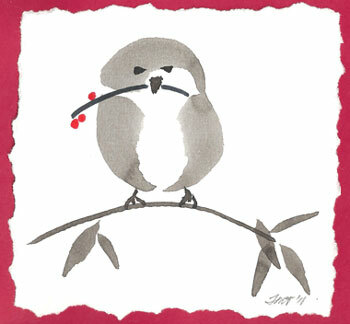 Sold over 300 Christmas cards and it is only October - thanks to everyone who has bough some. Christmas cards designed and at the printers, sold another 4 original art pieces this week and am busy exploring lino printing on my foundation course. busy summer entertaining the kids- but good fun. Had lots of orders and sold 2 original pieces in the past week, so that's good. 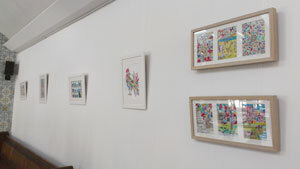 Black Cat exhibition still up and getting some great feedback from it. all go this week, lots of orders, Earthmatters (see below) and the great UKhandmade going to include me in a feature in Feb '12 called 'The Road Less Travelled' - and the kids on 6 week school holiday! the wonderful Friends of the Earth are going to include my work in an article in their September Earthmatters magazine. 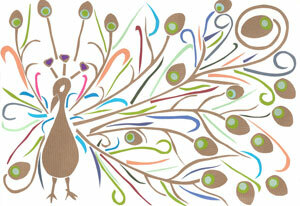 i had an order this week for 5 prints and an orginal art work for the same person- why can't I get those every day! i was in the Black Cat (where my exhibition is) this morning with my friend Lynn who is a writer and it was great to see people looking at my pictures and smiling. I heard one woman comment how colourful they are and another how lovely they look. put up an exhibition of 12 of my pictures at the Black Cat Cafe on Mill Road, which looks quite good I think.